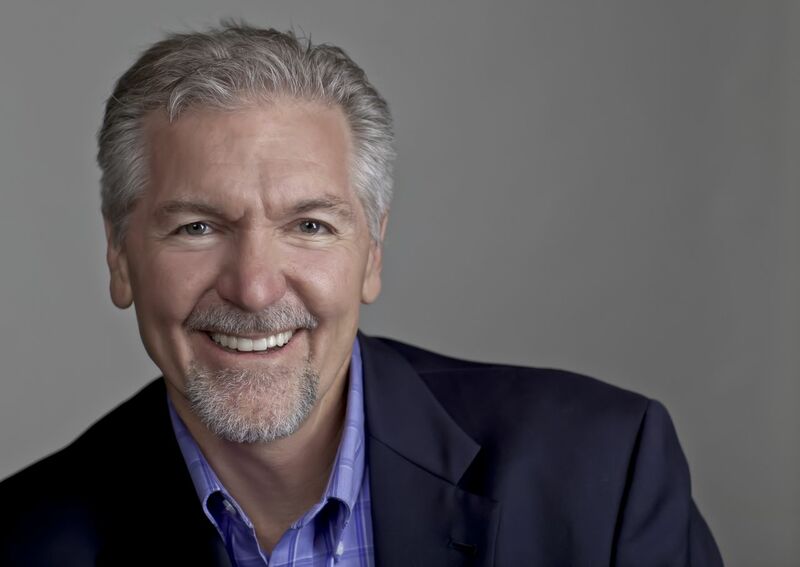 The blog's regular readers may recall that some time ago I wrote a post entitled Answering Scott Brown's Challenge Concerning Age Segregated Education (back in august of 2014). This post sought to publicly notify Scott about a series of articles I had written in response to his own assertions that he had never heard a Biblical defense of age segregated education and that this was because there was no case that could be made. Then, after repeated attempts to contact Scott to let him now about the articles and to challenge him either to respond or to retract his assertions, I followed up with a post entitled Will Scott Brown Answer My Challenge? Well, almost three years have gone by now, and I have yet to see any response from him. Should I then conclude, as he has done, that not hearing a public, Biblical defense of someone's position is due to the fact that that there simply is no credible defense that may be offered? 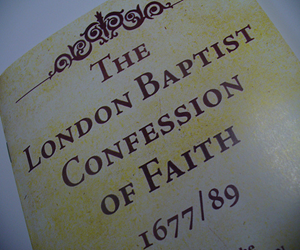 I have just updated the Reformed Baptist Resources page for this site, and I hope our readers will find it helpful. I have added a few resources, and I have fixed any broken links as well (at least all of them that I could find). If you have any suggestions or corrections, please feel free to let us know. I am especially interested in schools I may have missed or prominent contemporary theologians I may not have mentioned. Having read the book, I'd recommend it to all as a title that challenges some modern assumptions among those who love the doctrines of grace. 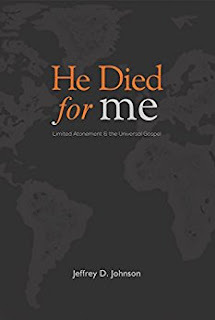 While defending the free offer of the gospel to all people, Johnson, a committed Calvinist, revisits the implications of the time-proven "Lombardian formula" - the famous statement articulated by Peter Lombard (1096-1164), that Christ's death is "sufficient for all, but efficient only for the elect." Universal sufficiency and limited efficacy. Pastor Johnson deals with Theodore Beza's (Calvin's successor) revision of the formula which was also later adopted by men like John Owen, Francis Turretin and A.W. Pink. They revised the sufficiency to be a "hypothetical sufficiency" - that is, Christ's death is not actually sufficient for all men, but would have been, if God had so intended it to be. You see both sides of this debate at the Synod of Dort, and language that delegates could take in both directions: the classic position, an extrinsic sufficiency, a real sufficiency for all men; or an intrinsic sufficiency - an atonement of infinite value, not a universal scope. Both could subscribe to the language used at Dort: "This death of the Son of God is the only and most perfect sacrifice and satisfaction for sins, and is of infinite value and worth, abundantly sufficient to expiate the sins of the whole world." Chapters 10 and 11 I found very helpful. Chapter 10 is a helpful critique, with the aid of many Reformed theologians, of John Owen's quantitative view of the atonement and his famous "trilemma." Owen's position, says Johnson, and many others - proves too much. The death of Christ does not immediately save anyone. Redemption, though accomplished on the cross, must be applied through faith. Even the elect, prior to their conversion are under the wrath of God (John 3:36; Eph. 2:3); they are not united to Christ personally, until they are justified through faith. "It is possible for Christ to be a sufficient sacrifice for unbelievers without the sacrifice being automatically applied to them" (pg. 126). The Reformed Tradition has a healthy diversity, and a cornerstone of Reformational thought is to be always examining what we believe in the light of the clear teaching of Scripture. Calvinists need to be more aware of the legitimate breadth of orthodoxy by those committed to our historical confessions. There's lots of good material in this small book - I hope that many will pick it up and read through it carefully. I couldn't agree more. As I have stated in a previous post on this blog, Jeff's book convinced me. Previously I would still have classified myself as being in the High Calvinist ranks, although allowing for common grace to be a benefit of the atonement for all mankind, until my conversations with Jeffrey Johnson as he worked on finishing the book, followed by my reading of the book when it was finished. It was reading the book with an open heart and mind, though, that won me over and moved me to the Moderate Calvinist camp. A subsequent conversation with Curt Daniel only helped to reinforce my newfound position. The seeds had already been planted, though, as a result of articles Bob Gonzales had written some years back and which are now being rewritten and posted again on his new blog. I now look back with astonishment that I had actually missed so much in my prior reading of men such as Charles Hodge. As Curt put it in my aforementioned conversation with him, I have finally given my Calvinist soteriology some needed "fine tuning." I had been heavily influenced by Owen early on in my development (although I took issue with his exegesis here and there), and I followed his mistake in not seeing clearly the difference it makes when we recognize that election does not flow from the atonement but precedes it. What an obvious point! But I missed its significance until I had my "Owen glasses" removed by Jeff's Scriptural observations. Some years ago I was happy to post Brandon Adam's Collapsible Outline of Owen on Hebrews 8:6-13. Today I would like to post another such outline offered by Brandon, this time of Nehemiah Coxe's A Discourse of the Covenants that God Made with Men before the Law. 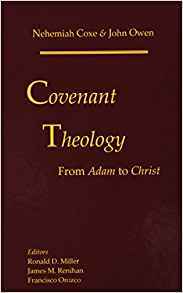 These outlines should prove quite helpful when reading the important work Covenant Theology: From Adam to Christ, which contains both Coxe's Discourse of the Covenants and Owen's Exposition of Hebrews 8:6-13. I would also highly recommend checking out Brandon Adams' 1689 Federalism website, as well as his blog Contrast, which has many excellent articles. Thanks Brandon! 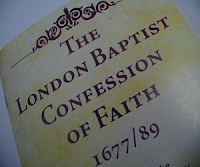 Labels: Pastoral Ministry, What Is a Reformed Baptist?